Friday Hostel announces special promotion! Every Friday we offer something free for our guests (either a breakfast, or a traditional Russian meal, because it's Friday! 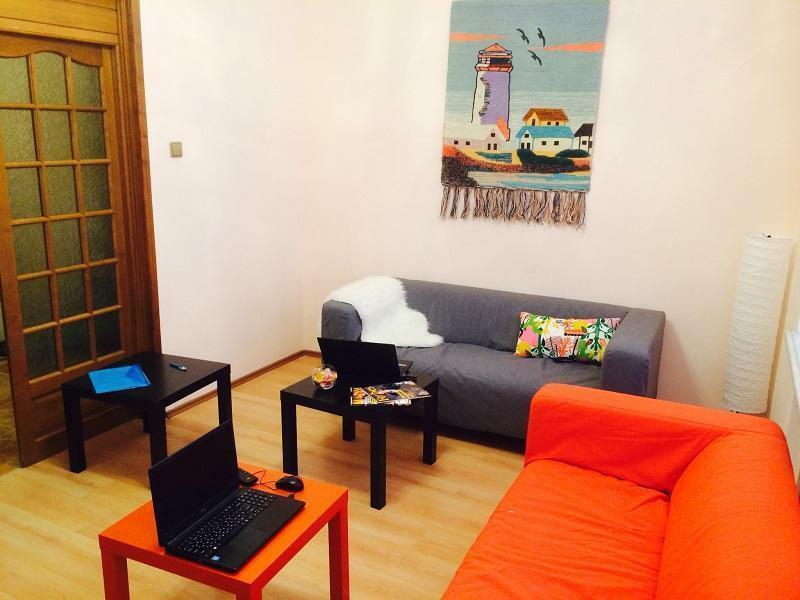 The hostel is located in the heart of Moscow, in the historic Kitay Gorod district. Red Square is just a 10-minute walk away. Free Wi-Fi access is available. Very secure and highly international place. We really care about your security. Free things to use: tea, coffee, candies, wi-fi, PlayStation 3, laptop, big kitchen amd its facilities, lounge area, fridge, pure water. Bright dormitory rooms here will provide you with bunk beds. Shared bathrooms are in the hallway and come with towels. Guests can cook their meals in the shared fully equipped kitchen, completed with a dining area. A variety of cafÃ©s and restaurants can be found within a 2-minute walk of the hostel. At Friday Hostel you will find a 24-hour front desk and a shared lounge. Cancellation policy: 48h before arrival. In case of a late cancellation or No Show, you will be charged the first night of your stay and 10% of your booking. Check in from 14:00 to 23:00. Later check in is possible, but additional $6 fee for late check in applies. Payment on arrival by cash only. Credit cards are temporary not accepted (subject to change soon because at the moment we are changing the bank). We apply special rules to keep the environment safe and comfortable for everybody. You need to agree to these rules upon arrival. For a full list of our rules, please visit our website. It is very easy to find us. We are located in the center of Moscow within a three-minute walk from the subway station Kitay-gorod. In the subway you take the exit to Maroseyka Street. Proceed along this street to the first intersection and turn there to the right. The reference point is McDonald's on the left side. Proceed to the cafe 'The Farm' and on the opposite side you will find Friday Hostel, entrance hall ? 3, number of intercom 32.